One of the most common forms of back pain, a slipped disk will affect as many as 60 to 80 percent of people in their lifetimes, according to OrthoInfo. 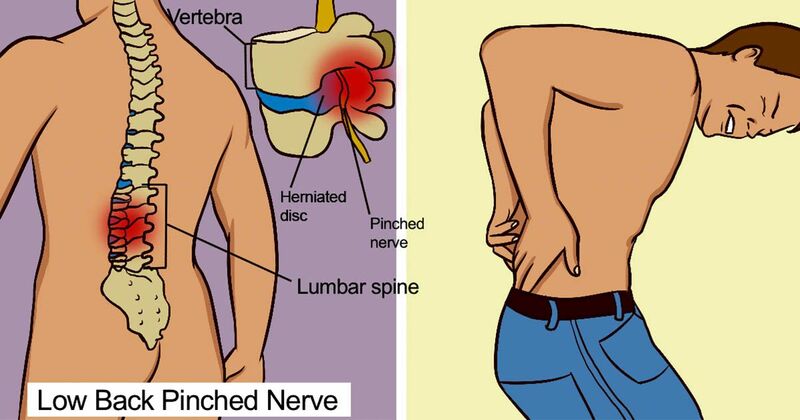 Also known more technically as a herniated disk, this condition can be painful and normally affects the lower back, causing pain in the legs. OrthoInfo explains that your spine is made up of a series of stacked bones known as vertebrae. Each bone is cushioned by disks that protect the bones from shock and daily wear and tear from walking, lifting and twisting around. Healthline explains that many times a slipped disk occurs with age as the outer ring of the disk becomes worn, torn and weak, and the soft inner part of the disk slips out. A herniated disk can also be caused by certain movements like twisting, turning or lifting heavy objects. Individuals who are overweight are also at a greater risk for a slipped disk because their disks have to support more weight than they can often handle. Weak muscles from little movement or exercise can also increase the risk for a herniated disk. Arm and/or leg pain. Because many herniated disks happen in the lower back, people might feel pain in their thighs, calves, feet or glutes. Shoulder and/or arm pain. If your herniated disk is in the neck, you might have pain in your shoulder or arm. Numbness or tingling. Sometimes people experience a numbing or tingling feeling in part of the body that is served by the nerves affected by the herniated disk. Weakness. You might experience a weakness that causes you to stumble, or you might have trouble lifting or holding things in your arms. If you recognize any of these signs of a slipped disk, make an appointment with your doctor to talk about your symptoms. Many times a herniated disk can be treated with pain management, according to the Mayo Clinic. This might include over-the-counter drugs, cortisone injections or even muscle relaxants or narcotics as prescribed by your doctor. Your doctor might also suggest physical therapy to help manage the pain, like heat and ice treatment, electrical stimulation or a short-term brace. In severe cases, a doctor would recommend surgery. If pain medication or physical therapy don't improve the symptoms, a surgeon would most likely remove the part of the disk that's sticking out and causing the problems. Only in the most severe of severe cases would an entire disk have to be removed.